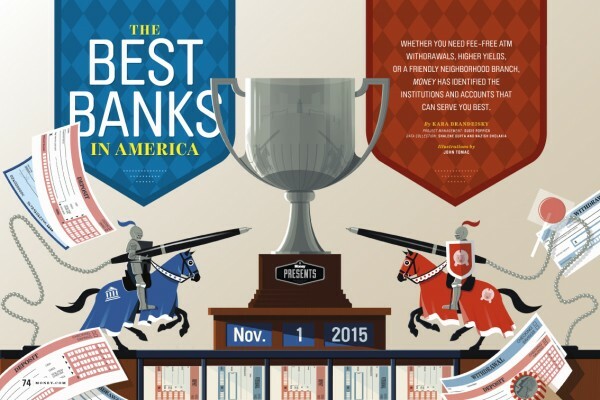 I had the pleasure of creating a few illustrations for Money’s annual ranking of the best banks in America. 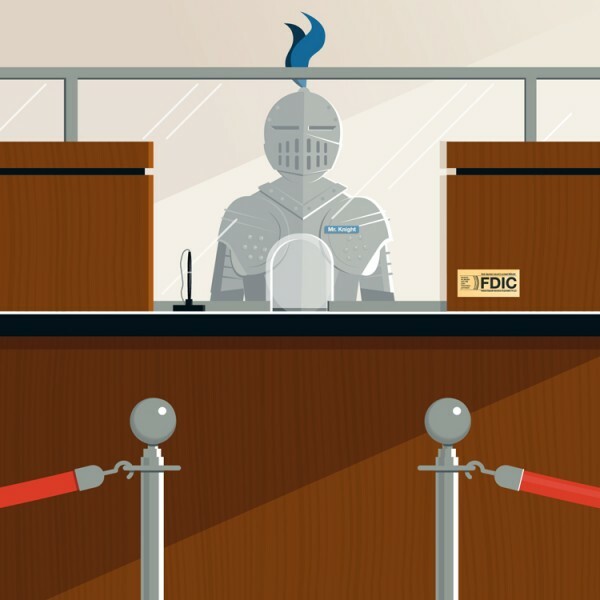 On the opening, we wanted to suggest that banks are fighting for customers’ deposits. Jousting seems like a pretty good use of bank pens, no? 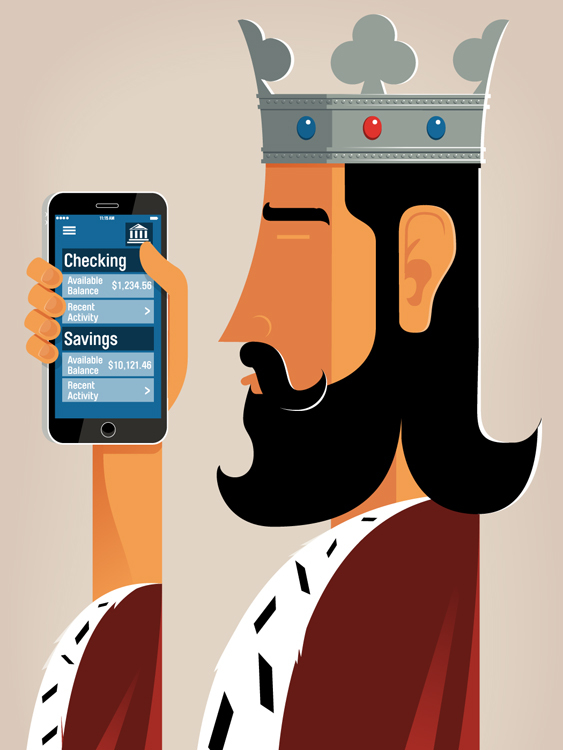 Inside are a couple of spots; one about which bank has an app made for a king, the other about which banks do the best job protecting your money.